For over 35 years, Guys Glass and Mirror has been, and is still, the reliable glass and mirror company that customers come back to for their glass needs. 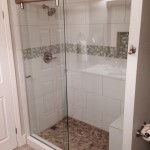 From bathroom mirrors to glass shower enclosures, we have you covered. 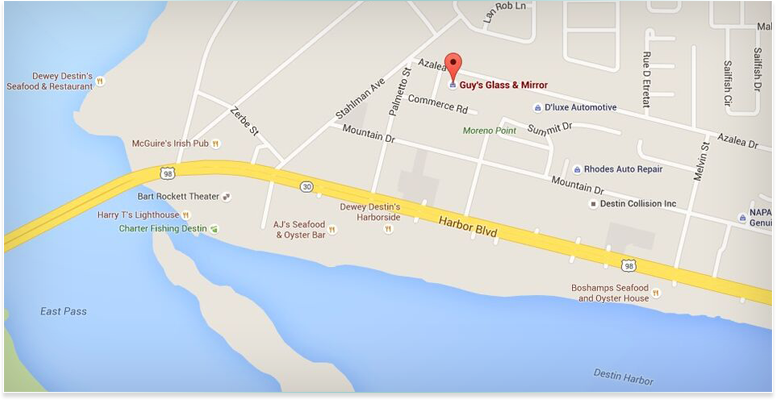 Although we are located in Destin, services from Guys Glass and Mirror are offered throughout the Northwest Florida region. One of our service locations is the beautiful South Walton and 30A. South Walton and 30A is nestled in between Destin and Panama City Beach. The alluring scenery of sugar white beaches and turquoise blue waters throughout South Walton and 30A is easily a source of inspiration for current or new residents of the Emerald Coast. The perfect glass shower enclosure for your bathroom can help the space feel like a little getaway. 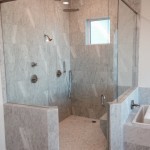 You can update or build a new shower with a custom glass shower enclosure that will complement your way of living. There is a variety of glass types and finishes that we offer for our customers to choose from. Our employees will help you acquire the look you want. Our knowledgeable technicians will visit your residence to measure your shower or tub for correct specifications and a proper quote. When you have made a decision, we can install the custom glass in your home. Let our exceptional team take care of your glass needs! Contact us Guys Glass and Mirrors today for a FREE QUOTE!